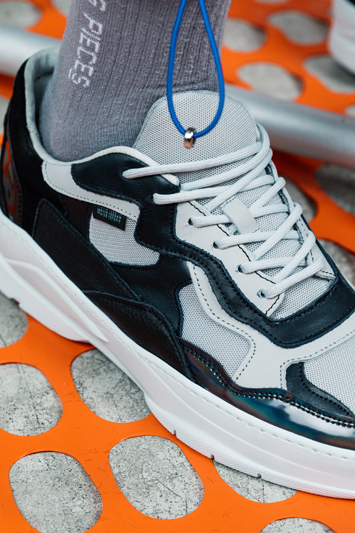 After starring as the faces for Filling Pieces‘ debut ready-to-wear campaign, Majid Jordan once again team up with the Amsterdam based fashion label. 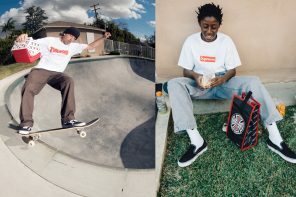 This time round, the Canadian artists co-designed an exclusive shoe which is set to be launched at Complex Con 2018. 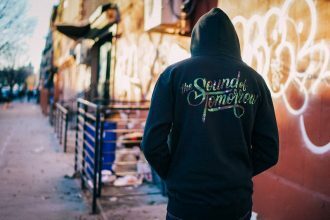 With a strong presence in the music scene and because of a shared vision on bridging gaps, bringing together different worlds and mixing genres, it felt natural for Filling Pieces to enter into the design process with the Toronto based musicians. Filling Pieces founder Guillaume on collaborating with Majid Jordan. 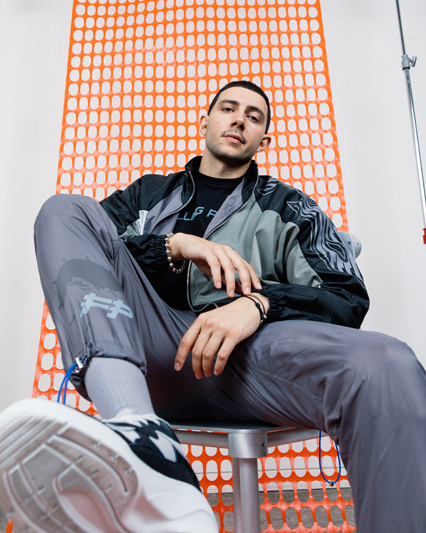 Majid Jordan on collaborating with Filling Pieces. 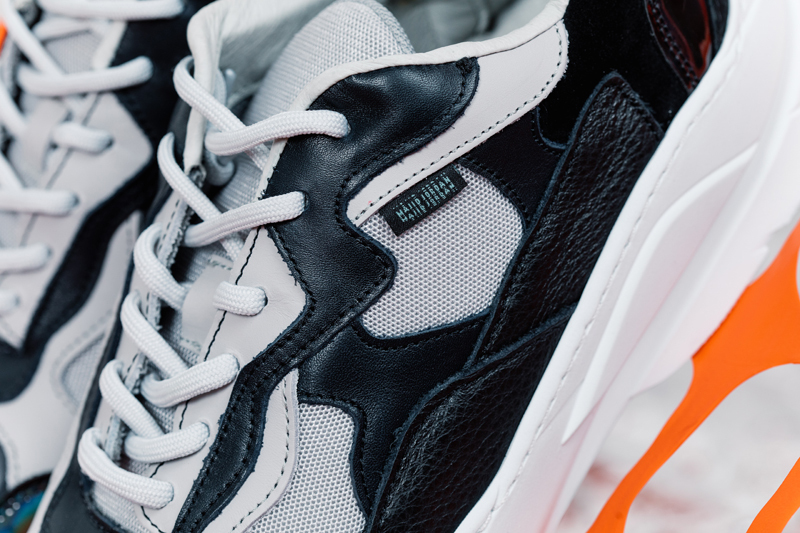 Their chosen design was crafted then and there, capturing the energy of their Amsterdam show and their vision on footwear design. 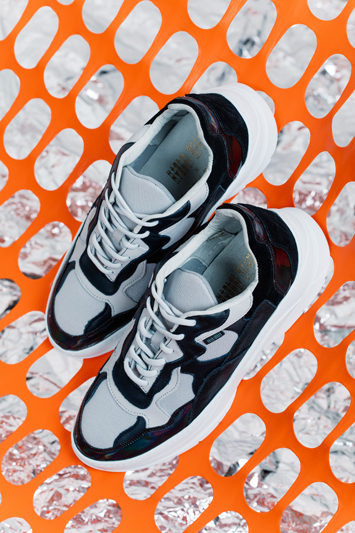 The duo chose to use our Low Fade Cosmo silhouette as the base of their collaborative shoe. This style was the perfect match for Majid Jordan, one of our most conceptual shoes. 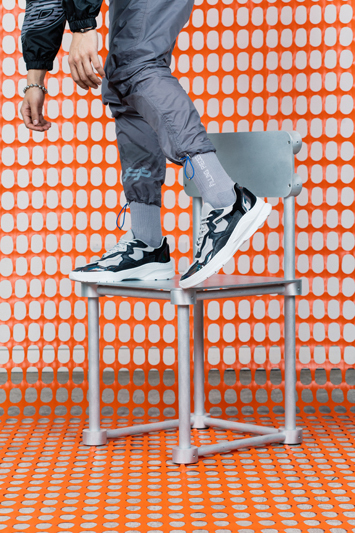 A silhouette that pushes the boundaries of what handmade footwear is perceived to look like, mirroring the brands conceptual approach that breaks the mould on what modern R&B or pop music can sound like. In-line with the artists’ approach of seamlessly blending their favourite genres to create something that is at once familiar yet novel, the shoe blends panels of the finest dark nappa leather with light grey cotton mesh and black textured full grain leather, whilst the heel quarter is crafted from black suede. The finishing touch is iridescent polymer panels which shimmers and shifts colours as it reflects light, creating a myriad of colours that occupy the full range of visible light – the literal ‘spaces between’ that drives Majid Jordan’s creative direction and vision. After carefully studying different material options, the two parties quickly agreed on the final design. The resulting silhouette captures the vibe and energy of the brief creative session that came before it. The colours and the iridescent material reference the creative direction of Majid Jordan. 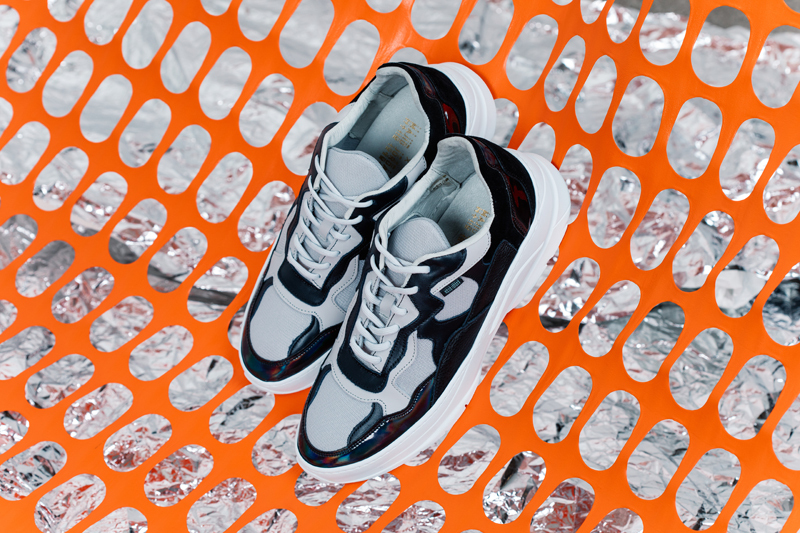 The limited edition sneaker was produced in an extremely limited run and will be exclusively available at Complex CON this weekend, November 3/4 , where Filling Pieces will be joined by Majid Jordan themselves for the release of the shoe. 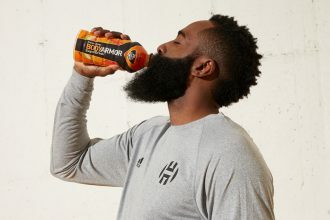 Bodyarmor takes over for March Madness.